Pictured is Summit Industrial’s Business Development team Riley Hornback and Justin Richards along with Assistant Project Engineer, Jace Weber, as well as two members of LyondellBassel’s Bayport Operations Team. 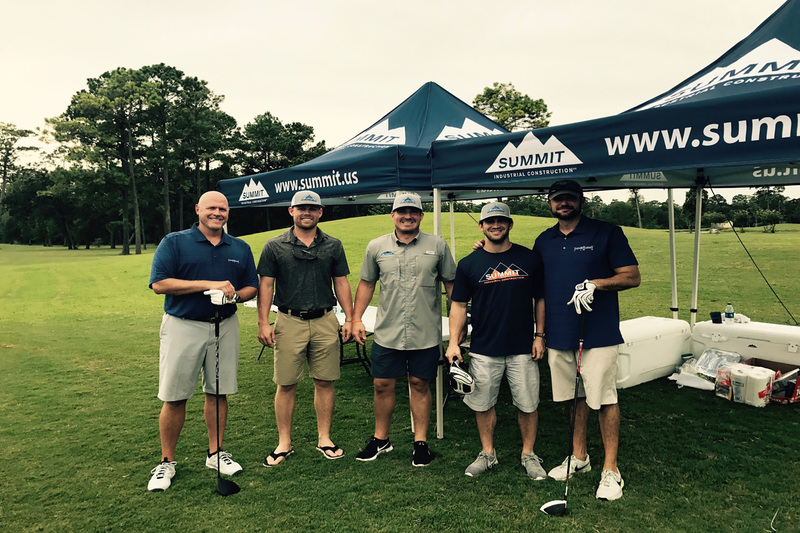 Summit Industrial sponsored the 1st hole at the Association of Chemical Industry of Texas and served fajitas to all participants of the tournament. ACIT works to enhance the economic health of the chemical industry as well as supply students with scholarships who plan to work in the industry.